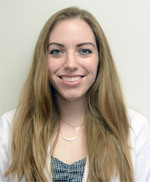 Dr. Emily Weitz, D.D.S., received her undergraduate degree in 2011 from The College of Wooster and her dental degree in 2015 from Indiana University School of Dentistry. Dr. Weitz has memberships with the American Dental association, Ohio Dental Association, and the Cleveland Dental Society. Her hobbies include traveling, cooking, exercise, sewing, camping, and Rubik's cubes. In her free time she enjoys watching Netflix with her cat Remington. 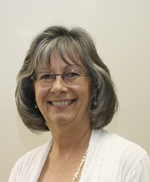 Hello, My name is Linda Fraunfelder and I am Dr. Arndt's assistant for 10 1/2 years. I attended the Northeast Ohio Dental Assistant Academy Inc. for training and received my certificate of completion in June 2004. Other than being a dedicated dental care giver, certified radiographer, Osha representative, supply coordinator I assist to Dr. Arndt in all areas of dentistry. I've been married to my wonderful husband for 27 years we, have two daughters and two grand-daughters. I love spending time with family and friends, as well as reading, walking my dogs and doing yard work. 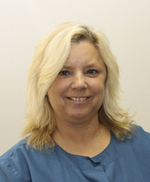 Vicki Smithingell has been a dental hygienist for 20 years she graduated from Lakeland Community College in 1994. Vicki was a Dental assistant for 10 years and was one of Dr. Arndt's assistance she became back in to Dr. Arndt's practice in 1999. She is dedicated in promoting good oral health and loves to educate patients about the oral Cavity and Systematic diseases. Vicki takes pride in making people comfortable in the dental chair when patients are anxious, had a hard day or, are going through a tough time in their personal life she is very sympathetic to their needs. Vicki is married and has two daughters who mean the world to her. She enjoys doing crafts, dancing, swimming, motorcycling and takes pride in her daughters sports and musical lessons. Julie Olsen was welcomed into our office in September 2013. 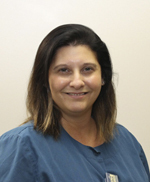 Having graduated from Lakeland Community College in 2013 with a degree in Dental Hygiene, Julie has become a valued and integral member of our team. Julie serves her patients with a smile and while providing quality hygiene procedures understanding that every person has unique needs. 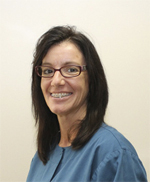 Julie is passionate about spending the time to provide the appropriate hygiene services and to ensure all patients have a positive and thorough experience in her Dental Chair. Julie is happily engaged to Garry and was blessed with one daughter Sarah Leona. Julie enjoys many outdoor activities in nature such as hiking, camping, biking, walking. Julie also love to workout, travel with her fiance, cook and is a big animal lover. Julie and her fiance dream to build a log cabin nestled in the woods. Lynn Pelka, with over 30 years of administrative assistant experience, is working with our team to schedule appointments, process and maximize our patients' dental insurance, provide personalized phone contacts and many other duties critical to our patients' positive experience in our office. Lynn loves to sew and makes a line of handbags and accessories that she markets at arts and craft fairs and in her Etsy.com online shop.